As soon as I saw the National Oceanography Centre Southampton on an open day I knew it was the only place for me to study. The facilities were all state-of-the-art and the boats allowed hands on fieldwork to enhance the lecture series. Since graduating with a first-class degree in marine biology with oceanography in July 2006, I have worked in Thailand as a marine biology consultant and have just left the Turks and Caicos Islands (TCI) in the British West Indies where I was working for two and a half years. After a year in the tourism industry narrating about the Caribbean marine life onboard a semi-submarine I was headhunted by the Department of Environmental and Coastal Resources in the government of TCI and began my job as Reef Restoration Project Manager in January 2008 managing the artificial reef projects in place. 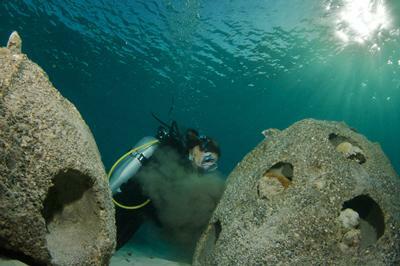 Biorock and Reef Ball reefs were used to salvage threatened corals in the area. I coordinated everything from the budget to construction, volunteer recruitment to signage and public awareness. 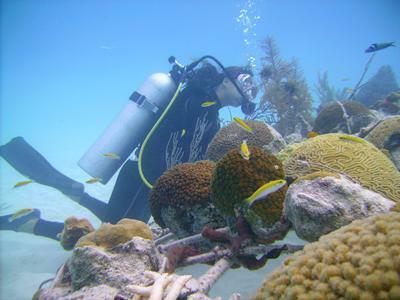 After a year in the tourism industry in the Turks and Caicos Islands, I was headhunted by the Department of Environmental and Coastal Resources to manage the artificial reef projects in place, to salvage threatened corals in the area. The multitude of skills I utilised for this job were all enhanced through my time at Southampton and the experience I have gained will assist in my future employment. I am co-writing a scientific paper with the founder of the technology and hopefully will be involved in artificial reefs again in the future. My tutors supported my desire to travel after university and provided me with excellent references and I know that they will always be there for further advice and guidance even a few years from now. I was also student ambassador for the University, showing prospective students around the University and I was always proud to be a representative of such a fantastic institution. There is no doubt that a degree from Southampton will aid any good student in furthering their career in marine science as far as they want to go.